Heat the oven now. These are absolutely the best scones ever made in our kitchen! 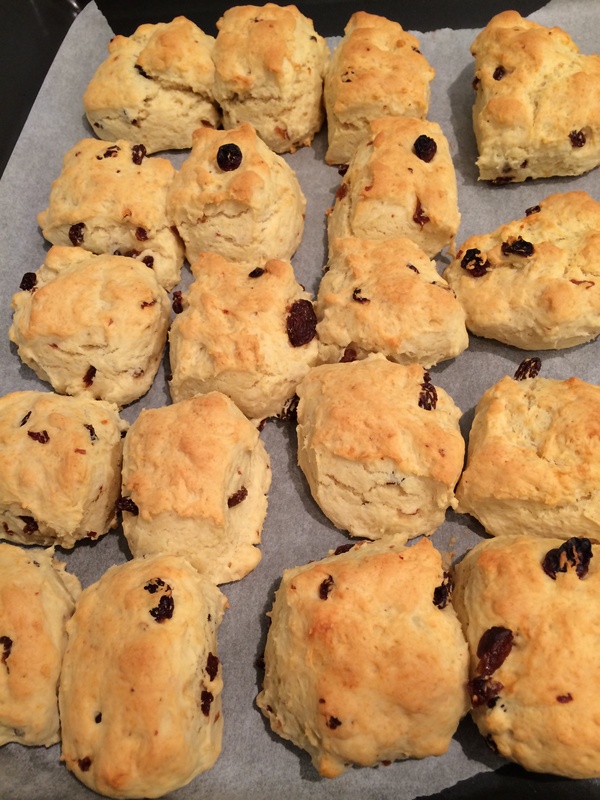 This recipe from the recipe community (link above) is aptly named never fail scones. Made from self raising flour, baking powder, icing sugar and cream, so easy, put in all the ingredients, mix 10 seconds and knead for 1 minute…. Done! Put dough straight onto baking tray, roughly cut into squares and baked for 15 minutes. Nothing to clean up, only the thermomix bowl which is set on self clean. Perfect with jam, whipped cream and a cup of tea before the storm hits tonight. And the best thing is, if you ever have surprise visitors, these can be on the table in 15 minutes.